VOLCANO, get in touch with nature at its most powerful and awesome. 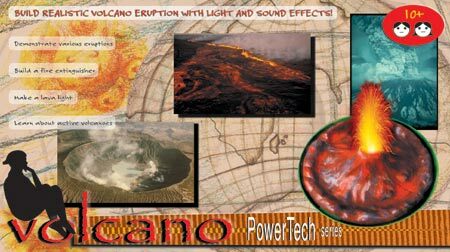 Make an erupting volcano, complete with light and sound effects. Trace the development of volcanoes and produce different types of eruptions. Other activities include: how to make a fire extinguisher, a lava light, chocolate lava and much more.